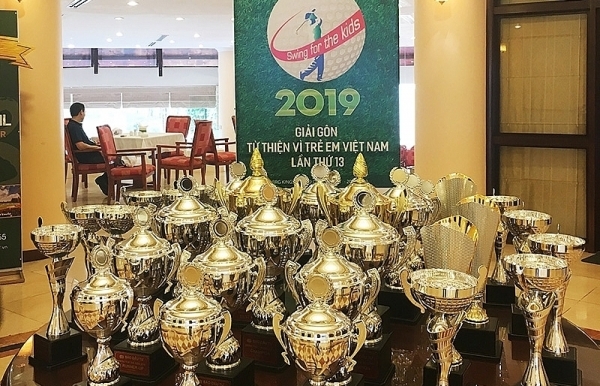 After obtaining major achievements since 1988, Vietnam has now begun focusing on luring new-generation foreign direct investment with higher quality and effectiveness. 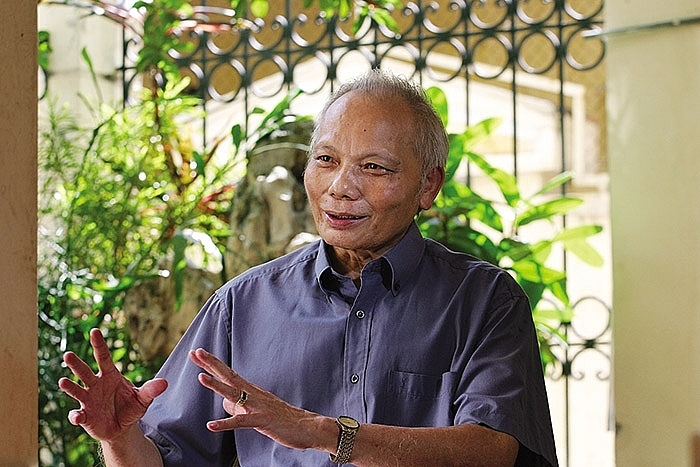 Professor Nguyen Mai, chairman of the Vietnam Association for Foreign-invested Enterprises, outlines what the country requires in new attractive policies and orientations, and what needs to be developed in order to lure this type of capital. Mergers and acquisitions (M&A) have become an important method for attracting foreign direct investment (FDI). A new project often takes time for surveying, selecting sectors and professions, making pre-feasibility studies, and conducting many types of procedures before being officially implemented. Conversely, an M&A-based project often takes less time and costs, because the foreign partner only needs to collect sufficient information about the domestic partner, then meet and negotiate via consultants and brokers before reaching final decisions. After that the foreign partner can officially purchase the stake in the business and if the stake is large enough, they can partake in managing the firm. 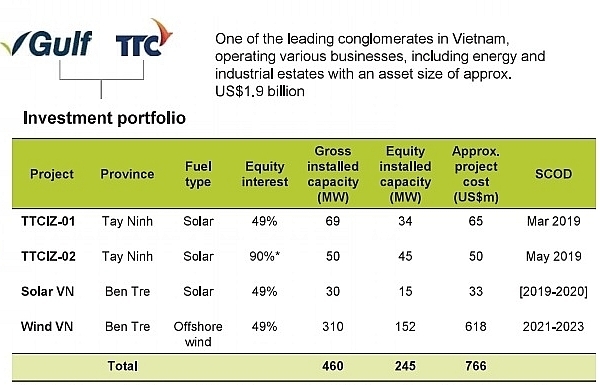 From 1988 to 2010, M&A was conducted among Vietnamese companies, because the scale of their business was not big enough for international investors, who were mostly transnational corporations (TNCs), to engage in. Since then, M&A has become a popular channel to woo investment, and it has held a big part in Vietnam’s total registered and disbursed FDI. During 2011-2013, Japanese companies spent about $2.5 billion investing into Vietnam’s M&A market in the sectors of consumer goods, and finance and banking. 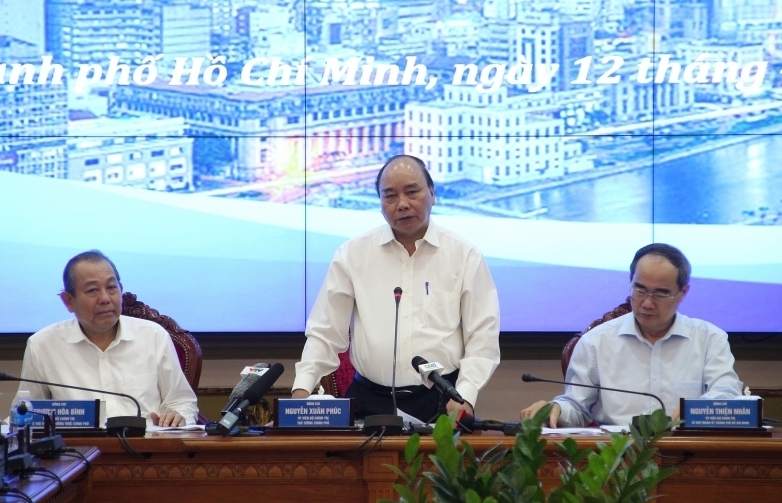 Vietcombank has a 15 per cent stake held by Mizuho, while Bao Viet and VietinBank have stakes owned by Sumitomo Life and UFJ Mishubishi Bank, respectively. Vietnam witnessed 313 M&A deals worth $4.2 billion in 2014, 341 deals for $5.2 billion in 2015, and 611 deals valued at $5.8 billion in 2016. 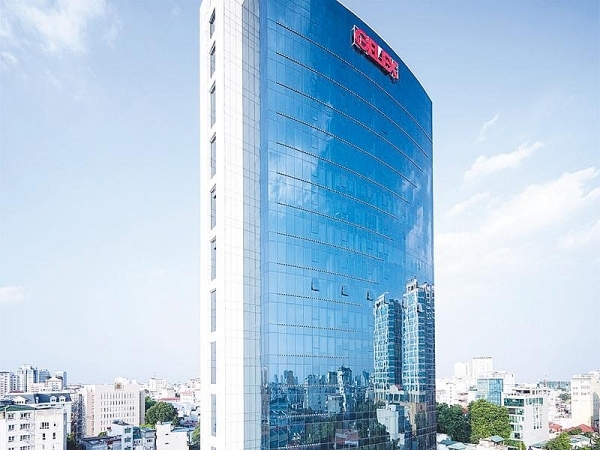 There have been major transactions, including TCC Holdings purchasing Metro Vietnam at $879 million, and Central Group buying Big C Vietnam for $1.14 billion and using its subsidiary Power Buy to acquire a 49 per cent stake from NKT, which owned the Nguyen Kim chain. 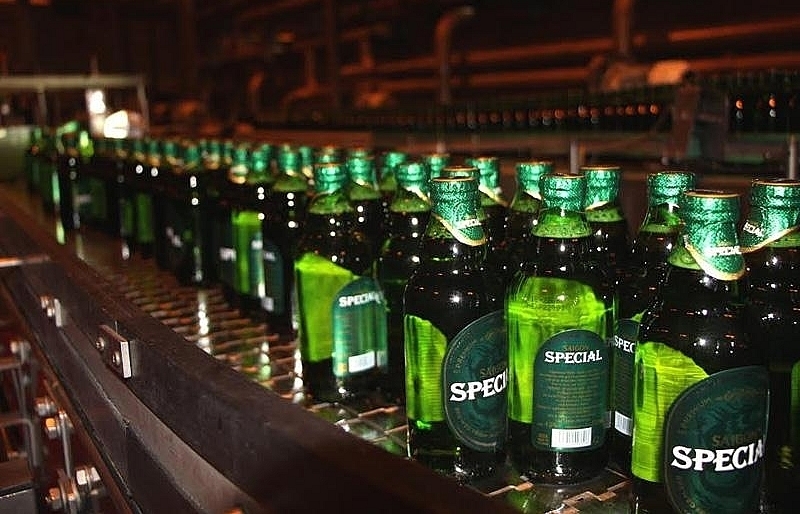 Many other deals can also be mentioned, such as Asset and AEON and BGN buying Keangnam Landmark at $723.82 million; Mapletree Investments acquiring the Kumho Asiana Plaza project from the joint venture Kumho Industrial and Asiana Airlines at a price of $215 million; and New Life RE spending $49.2 million purchasing Duxton Hotel from Low Keng Huat. From January to November 20, 2018, there were 582 foreign-related M&A deals valued at $7.6 billion, up 44.4 per cent on-year, accounting for 24.7 per cent of the total newly-registered foreign investment and 46 per cent of total disbursement. 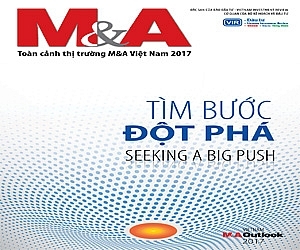 It is clear that M&A activities have been increasingly developing in Vietnam thanks to the government boosting equitisation of state-owned enterprises, and many domestic private companies becoming increasingly attractive to foreign investors. 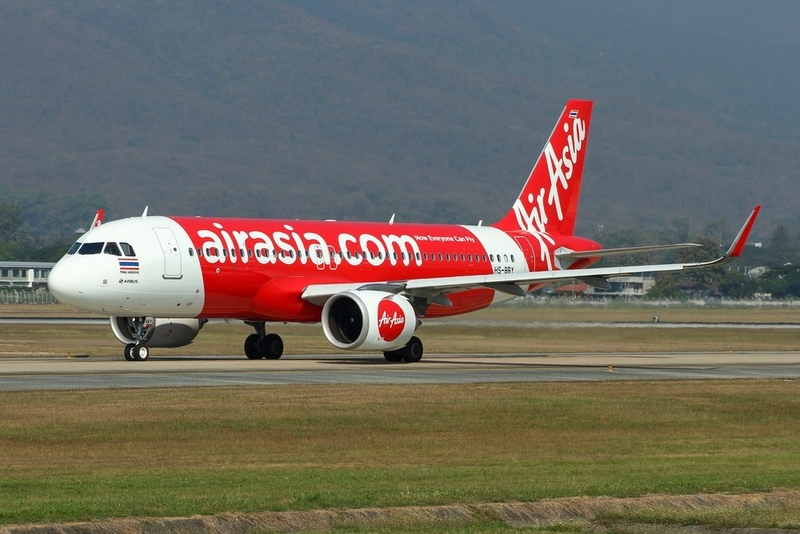 This trend is expected to make Vietnam a big M&A market in the region. 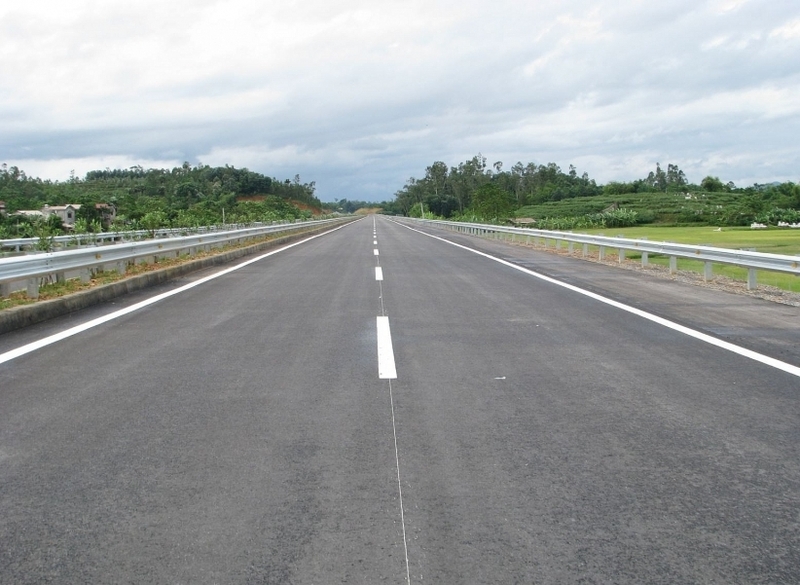 Cross-border investment without capital contribution has become a new FDI attraction method in Vietnam. TNCs’ trade and investment strategies are implemented under various forms – directly or via their subsidiaries in some nations in order to deploy new projects, or via M&A to hold stakes to a level that they can participate in governing the business under one of the three investment methods: through a joint venture, 100 per cent of foreign-investment, and a business co-operation agreement. Industry 4.0 is significantly changing global supply chains, with robots replacing part of human labour. IT and Big Data have created a revolution in corporate governance. Thus traditional investment methods tend to decrease, while a number of new investment methods have sprung up and become all the more popular. Contract-based production, outsourcing, franchising, licensing, and management have become new investment modes. In the digital age, via FDI, TNCs are focused on contribution margins by seeking potential markets without making any capital contribution, usually known by the New Economics Model (NEM). NEM has been implemented in many nations when it shifts from the supply chains of low-added-value products to those of high ones. This is because NEM allows TNCs to regulate activities of all supply chains, creating opportunities to producers and domestic suppliers in joining global chains. Funds from foreign investors often include the provision of brand names, intellectual property rights, and business know-how. For example, the World Bank cited US giant Apple having Taiwan’s Inventec produce a number of spare parts via outsourcing contracts; Hyatt managing hotels owned by a Nepalese firm; and the American group Intel employing India’s Wipro to develop its software. Because NEM has been implemented in only some countries, global statistics are currently unavailable, but it is estimated by the United Nations Conference on Trade and Development (UNCTAD) to be higher than $2 trillion annually. Thus there are two types of FDI: capital contribution and no capital contribution, with the former and NEM complementing each other. Some overseas investors still continue implementing traditional investment methods when they deploy their projects in other nations, while an increasing number of TNCs have shifted to NEM. After some time, if they see the enterprise operate well and need to expand business, TNCs will continue contributing capital by purchasing stakes or increasing investment. NEM-based funds tend to increase because it can significantly benefit FDI recipients. For example, in the automobile industry, about 30 per cent of spare parts and components are made under import contracts, generating about 25 per cent employment in the industry. 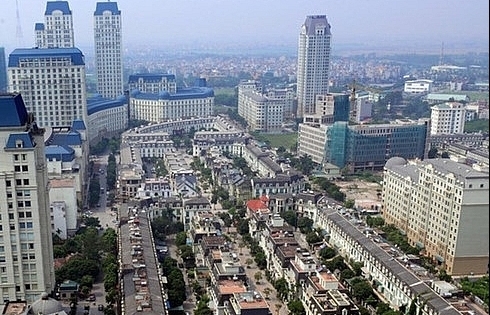 Vietnam’s new-generation FDI attraction strategy, compiled jointly by the World Bank, the International Financial Corporation, and the Ministry of Planning and Investment, has underlined the need for Vietnam to pay attention to NEM. In fact, over the past few years, some Vietnamese groups have taken the initiative in approaching and implementing NEM, with VinFast and VinSmart under Vingroup being a typical example for NEM. 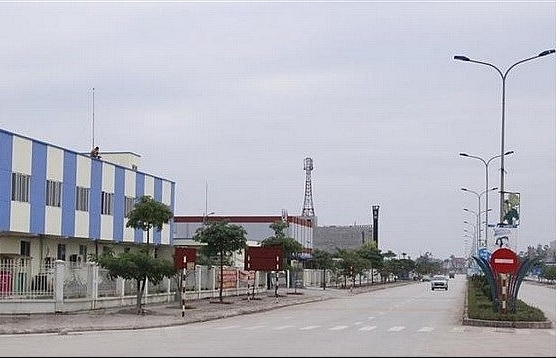 Established in 2017 and headquartered in Hanoi, VinFast has its $3.5 billion automobile manufacturing complex in the northern port city of Haiphong, covering 335 hectares. VinFast has signed technological co-operation contracts with some major European automobile groups, such as Germany’s BMW, Siemens AG and Robert Bosch GmbH, Austria’s Magna Steyr, Italy’s Pininfarina, and Thailand’s Aapico Hitech. 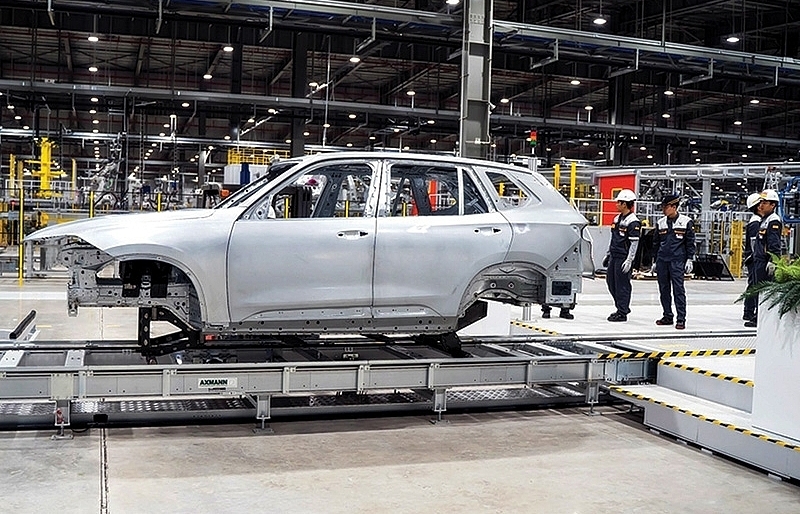 The complex is set to produce 500,000 automobiles by 2025. In early October 2018, VinFast made a debut of two models Lux A2.0 and Lux SA2.0 in Paris, and then three auto samples in Hanoi, including the VinFast Lux SA 2.0 (SUV), VinFast Lux A 2.0 (Sedan) and VinFast Fadil. There have been tens of thousands of orders already, and it is expected the first will be sold in September 2019, just two years after the complex’s construction began. 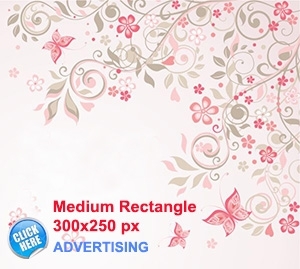 Besides, in December 2018 in Ho Chi Minh City, Vingroup made a debut of four lines of Vsmart-branded smartphones. 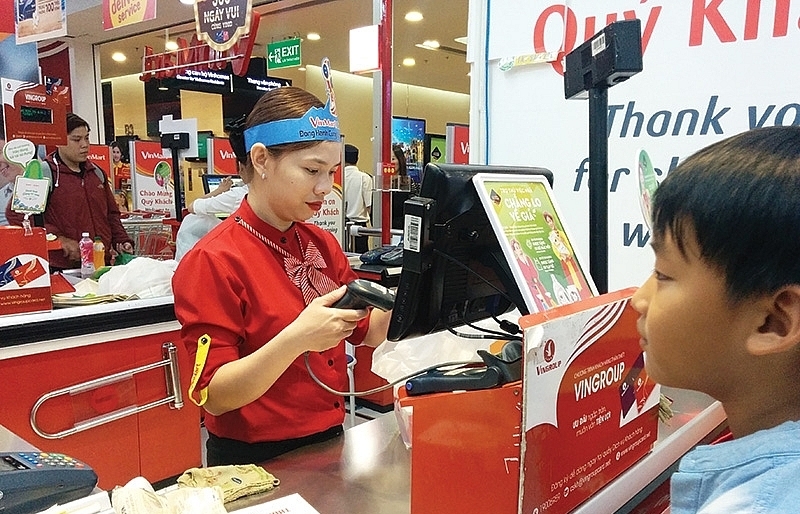 The products were produced less than six months after the VinSmart facility was established in Haiphong. It is hoped that the facility will annually produce five million smartphones in its first phase. Almost all stages, from design, research, and development to production, are conducted by Spanish technological firm BQ, whose 51 per cent stake is held by VinSmart. 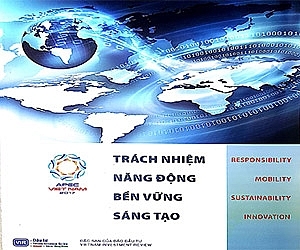 VinFast and VinSmart are typical of Vietnamese enterprises co-operating with foreign partners to create and consolidate their own strength via technological transfer, without any capital contribution from overseas partners. 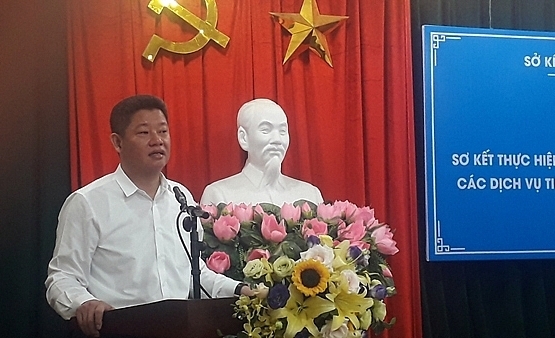 It is expected that many Vietnamese economic groups will do the same as Vingroup, so that they can shorten the time needed for their development, contributing to national socioeconomic development. When a new investment method increases and becomes more important in Vietnam, the government needs to revise and enhance policies and laws, so that the country can attract new-generation FDI sources effectively.